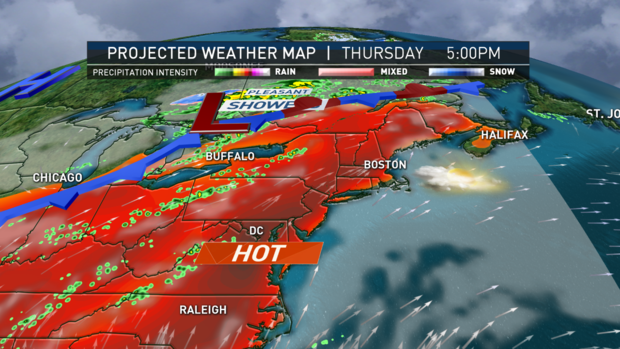 The hot sticky late days of summer are upon us and has us thinking warehouse temperature, heat and humidity. Gravity flow solutions such as pallet flow, carton flow and gravity conveyor are dynamic – as such, all rely on moving parts that can be impacted by extreme temperatures and moisture. Designing gravity flow to function most efficiently in ambient, cooler or freezer warehouse environments at all temps takes some important design and manufacturing consideration. The temperature of the facility is only the surface concern however; humidity and moisture often come with temperature extremes. Plus, properly warehousing products like dairy, beverage, produce, etc. often come with a wash-down requirement, but thankfully we’ve got that covered too! How Mallard Beats the Heat… and the Cold? First and foremost, Mallard gravity flow products score high in durability. All our components are built to last and engineered to withstand extreme temps and humidity. Despite the harsh conditions of extreme temperature warehousing, Mallard gravity flow solutions are also surprisingly easy to maintain. Our wheel and roller bearings are rugged and durable day after day in busy warehouses. They are pre-lubricated and in most cases that process is all the system will ever need, however, in cases of extremely wet, dirty and/or regular contact with corrosive materials, we recommend a regular maintenance application of lubrication to keep the system running and mitigate repairs and downtime. 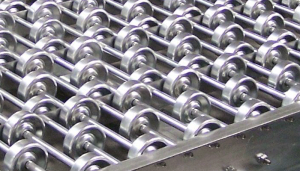 Full & split roller pallet flow – Heavy duty bearings, axles, tube, and side channels comprise our roller pallet flow systems which are engineered and built to the highest industry standards for long term use. Steel skate wheel pallet flow – Both tough & economical, skate wheel is ideal for shallow depth lanes and lighter weight loads i.e. 2-5 pallets deep & pallets <2,000 lbs. Magnum wheel pallet flow – The Mallard Magnum wheel is comprised rugged, reinforced resin material it offers almost double the wheel capacity compared to competitive polycarbonate-based wheels. The Magnum wheel‘s wider surface area results in better pallet tracking and the durable materials and robust bearings work together to provide a longer system lifespan even in extreme temperatures… like -40° extreme. Magnum is ideal for loads over 3,000 lbs. per pallet. Dyna-Flo HD has durable, broad wheels to provide good coverage and encourage consistent product movement down lane. Cart-Trak’s full-width roller carton flow is a heavy-duty, abuse-resistant system providing full case coverage and superior flow. Steel skate wheel conveyor – Designed to convey lightweight products in temporary operations and system applications. Available in either aluminum or galvanized steel wheels and frames to accommodate any warehousing climate. Can we use these hot summer days to help you maximize your inventory flow? We’ve got the products, the engineering team and even our own testing lab to ensure that you get the right system for your needs, just give us a call and well get started!